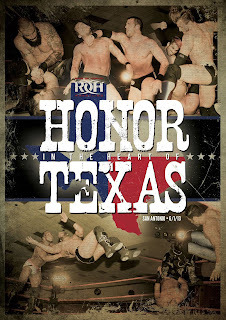 Ring of Honor is the destination for our next review as we go back in time to June 2013, where future TNA star Davey Richards challenged Jay Briscoe for the World title in the main event of Honor in the Heart of Texas. The show began with singles action as Mike Sydal took on one half of the Tag Team Champions, Kyle O’Reilly. This was a very enjoyable opener. O’Reilly tied Sydal up in knots as he worked over his man’s left arm as his partner Bobby Fish barked encouragement from ringside. O’Reilly didn’t have things entirely his own way though, and when Sydal make his comeback he pulled off some nice high-flying moves, as well as some nice counters inspired by his daytime job as a yoga instructor. Sadly for him he couldn’t keep the momentum going, and after O’Reilly took him down with three butterfly suplexes he locked in his patented armbar, and it wasn’t long before the inevitable happened as Sydal tapped out to give O’Reilly the submission win. Then came an in-ring segment featuring a local television presenter and the head honcho of SCUM himself, Steve Corino. Needless to say that Mr. Corino wasn’t exactly too complimentary about the locals, and when Mark Briscoe, who had been scheduled to face a member of SCUM, came out to help the news guy and to insult SCUM’s golden boy Matt Hardy the mystery of just who Briscoe’s opponent would be was soon solved. What followed was basically a short brawl. Corino used his usual underhanded tactics in an attempt to get the job done, while Briscoe responded with his own brand of martial arts. But after he took Corino down with a top rope splash Jimmy Jacobs and Rhett Titus ran in for the save. Their attack earned Corino the immediate disqualification, but that didn’t matter to the SCUM boys, especially after Corino connected with a brass knuckle shot. Their enjoyment was ended though when Michael Elgin and B.J. Whitmer ran in for the save. The Women of Honor were up next as Barbi Hayden took on Athena. Let’s be totally honest here. This match just wasn’t that good. It had no flow to it at all. A lot of the moves seemed a little forced, while others were off by a split second or so. This definitely wasn’t up to the high standards ROH normally sets for itself. The end looked quite impressive though when Athena came off the top rope and took Hayden down with a stunner for the winning pin. The Proving Ground match saw Eddie Edwards taking on TV Champion Matt Taven. Before I continue, can someone tell me why Edwards was put into a Proving Ground match? Surely being a former World, TV and Tag Team Champion would have been enough to earn a shot at Taven’s title. Now this more like it, a match filled with great sequences and a ton of hard-hitting action mixed in with some nice high spots and great technical wrestling. It’s the sort of match that ROH fans cry out for. Both Taven and Edwards put in excellent performances. Taven, flying solo without his manager Truth Martini, was more than a match for his more illustrious opponent, while Edwards seemed up to the task of teaching the up-start a lesson or two, especially when it comes to handing out a few chops to the chest. As for the end both wrestlers came extremely close to getting the win, but when Edwards took Taven down with a powerbomb and held on so he could add further damage with his die hard finisher it was all over for the champion as Edwards took the three count to earn a future title shot. Normal service resumed as hometown hero ACH went up against Jay Lethal. This match had a lot in common with the previous encounter, in the sense that it was filled with tremendous action from start to finish. These guys were perfect for each other. In Lethal you had the company veteran who could put on a great match with anybody, going up against the relative newcomer in ACH, who was looking to make a great impression not just in front of his hometown fans but in front of the powers that be. So when you put those two ingredients together you’re guaranteed a great encounter. I’ve always been an admirer of Lethal’s ROH work, and ACH impressed the hell out of me. Like Edwards and Taven before them they put together a string of fast-paced and hard-hitting exchanges that had the fans eating out of the palms of their hands. However, despite his great showing and the encouragement from his townsfolk ACH came up short when Lethal finally managed to take his man down with the Lethal combination, which set him up perfectly for the Lethal injection and the winning pin as both men received a standing ovation for their efforts. Next up was Raymond Rowe, who took on the other half of the Tag Team Champions, Bobby Fish. The debuting Rowe looked in great form early on when he gave Fish the proverbial woodshed treatment, but his playing to the crowd cost him dearly when Fish swept his large legs out from under him and began working over his left peg in an attempt to take away his power advantage. Rowe made a few comebacks, but Fish always seemed one step ahead of him, and despite the fact that the big man continued to impress with his power moves Fish countered his full nelson slam attempt with a crucifix for the winning pin. The special challenge match saw Roderick Strong taking on Adam Cole. As far as this match is concerned you could take everything I said about Edwards versus Taven and Lethal versus ACH and easily apply it here, mainly because this was another tremendous encounter between two evenly-matched athletes who gave us a ton of great action. Strong was his usual self here. His countless chops looked absolutely brutal at times, while Cole was easily up to the task, especially as he had the psychological advantage of having beaten Strong for the TV title the year before. Both guys came close to getting the win, but as the match went on it was Strong who imposed his will on the proceedings, and although they both went close to connecting with their kick of choice Strong put an end to things when he took Cole down with an under hook into a powerbomb for the three count, with both men earning a standing ovation afterwards, although Cole earned the ire of the crowd when he refused to adhere to the Code of Honor afterwards. The penultimate match saw SCUM’s Jimmy Jacobs and Rhett Titus taking on Michael Elgin and B.J. Whitmer in a Texas Tornado match. This was basically one big fight. It began before the introductions were finished, and it wasn’t long before they fought their way through the fans, with Elgin dumping Jacobs into a rubbish bin at one point. Eventually they made their way to the ring, and that’s where the best action took place. Both teams got in their fair share of good moves, although it was Elgin once again who impressed with his display of power, especially when he took Titus and Jacobs down at the same time, one with a Samoan drop and the other with a fall away slam. We also had brief cameo appearances from Steve Corino and Mark Briscoe, and although Whitmer managed to avoid Titus’ attempt to use a chain he failed to see Jacobs coming up on him from behind as he rolled him up, with Titus adding a bit more pressure as the SCUM boys took the winning pin. The main event saw Davey Richards challenge Jay Briscoe for the World title. This was more or less what I was expecting from these two, but that’s not a bad thing, because this match was worth the price of admission alone. It was filled with a ton of hard-hitting action, a spot of brawling, and a bit of technical know-how as both men went at it full pelt for over twenty minutes, which wasn’t bad considering that this was more or less a house show. As the old saying goes both men came close to getting that elusive pin throughout the match, and at one point Richards even used Briscoe’s own finishing move against him. But as is the way with these things it didn’t really have the same impact. In the end it was the champion who came out on top. Having taken everything and the kitchen sink that Richards could throw at him Briscoe eventually took him down with the Jay driller. This time it had the desired effect as he took the title-retaining pin, earning another standing ovation from the crowd. Bonus features come in the form of a tag team match pitting Carson & Ricky Starks against A.J. Summers and Rudy Russo, a pre-show segment with Davey Richards, and the ROH Honor Roll from May 30th, 2013. In conclusion – ROH may not be focusing on their DVD market as much as they do but they’re still capable of putting out decent releases. With the exception of the Women of Honor match this show is a very good example of where the company stands these days, even though, as I said before, it was more or less a house show. The show was built up nicely towards the main event, with the likes of Lethal, Edwards, and company putting in their usual stellar efforts, and Briscoe and Richards putting on a great main event. But if I can fault this release for one thing then it has to be for it’s commentary. 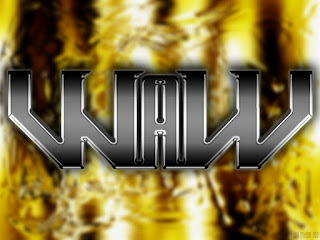 Former WWE guy Kevin Kelly isn’t that bad on the stick, but he really needs someone to work with him, a foil as it were. With the exception of Joey Styles there haven’t been many guys in recent years who can carry the commentary on their own. As for my match of the night no-prize there’s quite a few candidates here, but yours truly is going to give his vote to the ACH/Lethal encounter. Bet you guys thought I was going for the main event, didn’t you? With thanks to the powers that be for supplying a copy of this release. 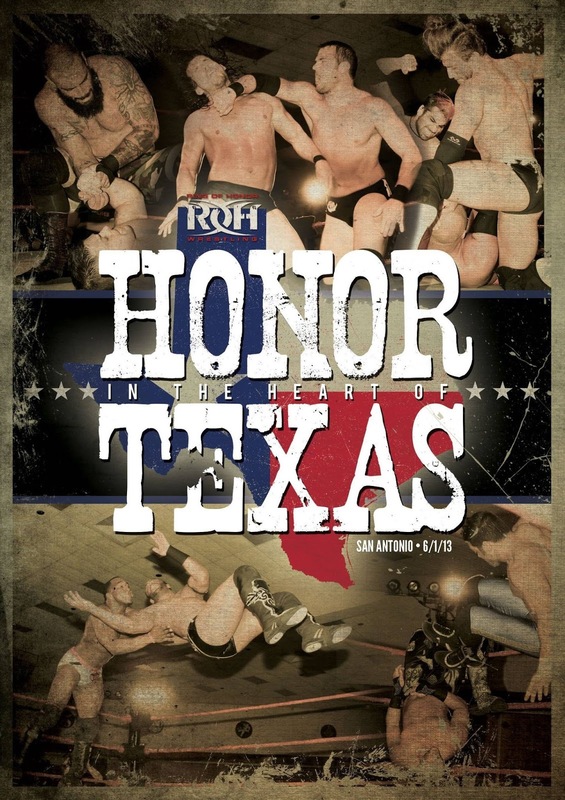 ROH Honor in the Heart of Texas is available to buy online at www.rohwrestling.com.